A break from the Holmes Brothers to give thanks for getting my Q on! 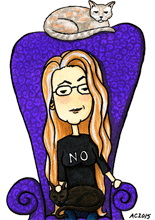 I finally finished this one yesterday, right under the wire, and I’ve got 4 letters left to do before I’m done. If you’re interested in one of the later letters for a holiday gift, just email me and I’ll give you a preview! 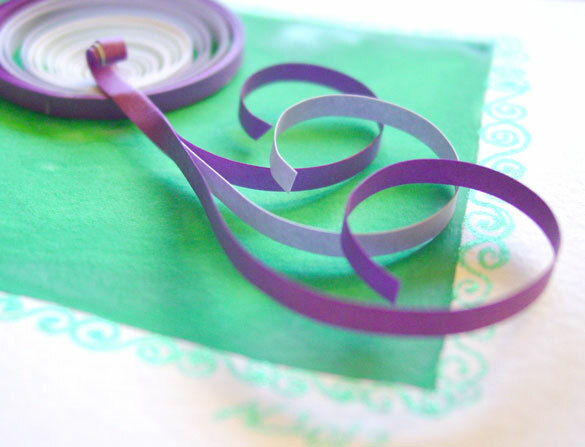 Quilling is an interesting craft for which the supplies are a bit hard to find! I ended up getting Twirled Paper by Klutz Press, which comes with a bunch of lovely colors, and a book of very useful instructions, as well as the “quill” for actually making the coils of paper. After a bit of practice and trial & error, I ended up with a lovely purple Q with a long, curly triple tail. 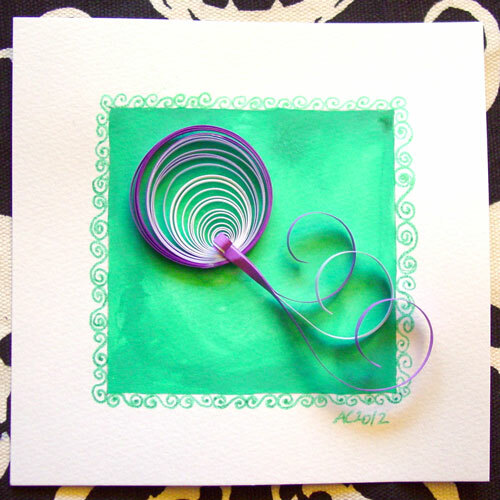 Q is for Quilling, 5″x5″ quilling paper, glue, Japanese watercolor, and glitter gel pen on paper. 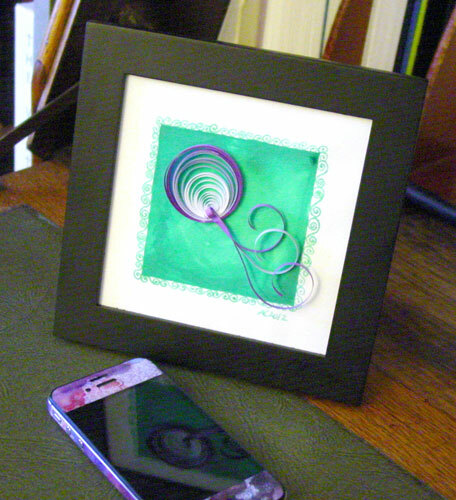 Above, you can see a detail of the twirly coils of paper and the sparkly green border. Below, you can see it in a frame — I’ve taken out the glass of a normal frame here, but you might consider a shadow box to protect the coils from dust, kitties and curious fingers.